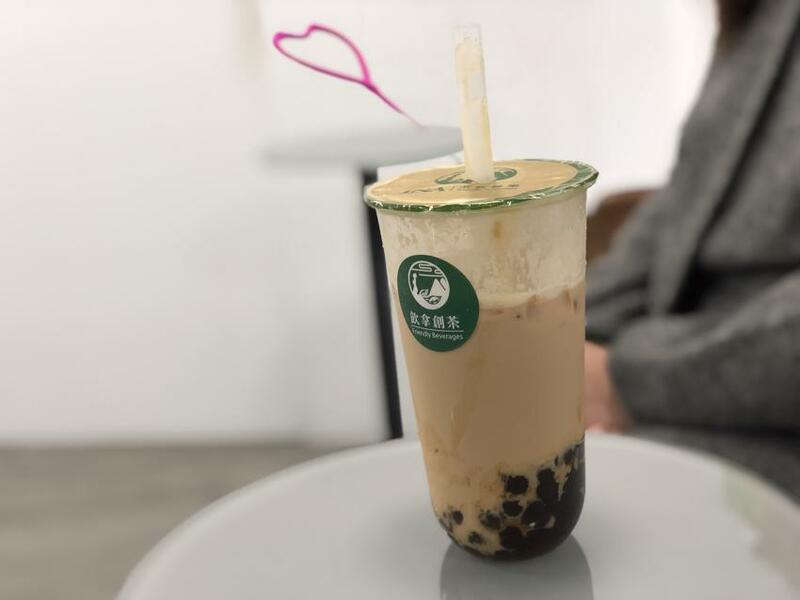 The last time we came to Taipei, we explored most of the attractions that any tourists would include in their itinerary like going to Taipei 101, visit Shilin night market (士林夜市), or check out Ximending (西門町). 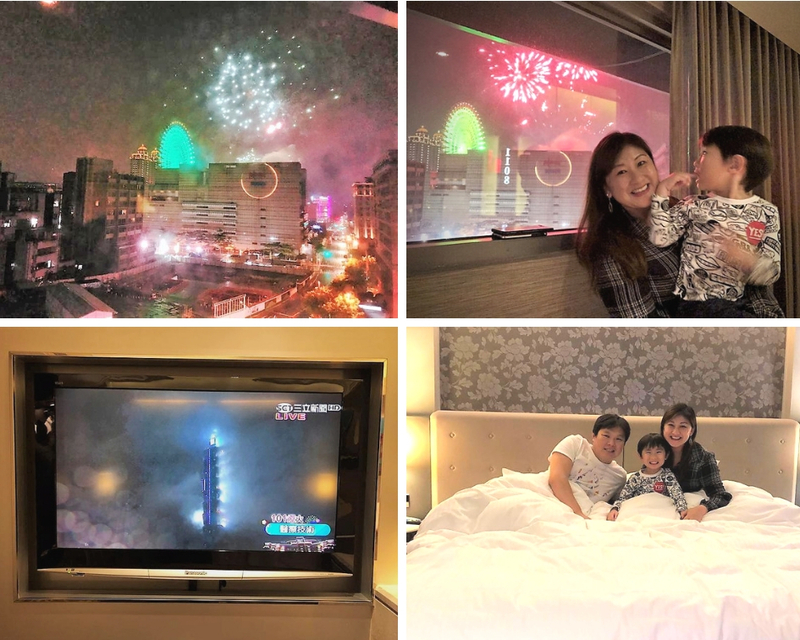 It was around the new year period as well, and we even stayed in a hotel with a view of Taipei 101 intending to catch the new year fireworks. Given we had already done all that before, I specifically tried to stay a little bit out of the city centre this time round, hoping to discover a more local / different side of Taipei. And looking back, we were glad we did! We stayed at 2 different hotels over 5 days, firstly at a hotel called “S Aura” (香樹花園酒店), followed by Sato Castle (莎多堡奇幻旅館). 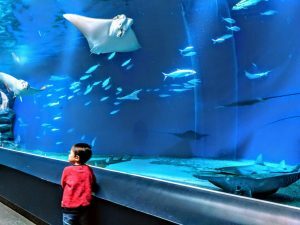 They were within walking distances of each other and was essentially located next to Miramar Entertainment Park (美麗華百樂園). Let’s just say, we were willing to take photos of these hotels than the one we stayed at Jiaoxi (礁溪). S Aura featured a very large bath (which we definitely took advantage of just about every night, a Japanese style fully “automatic” toilet, and even a shower with integrated “steam” feature (yeah.. a shower that doubles as a steam room). The only let down during our stay at “S Aura” was that Internet was pretty much broken in our room, and the best signal was actually in the toilet. Just as well, there was a very fancy toilet in there, while we surf the web doing our business! Because of the waiting times though, Ethan really didn’t get to try all that many different roles at all. If we come here again, we probably should plan ahead and pick a day when it’s not quite so busy. Having said that, we discovered just how much more Core Pacific City Mall had to offer for kids. 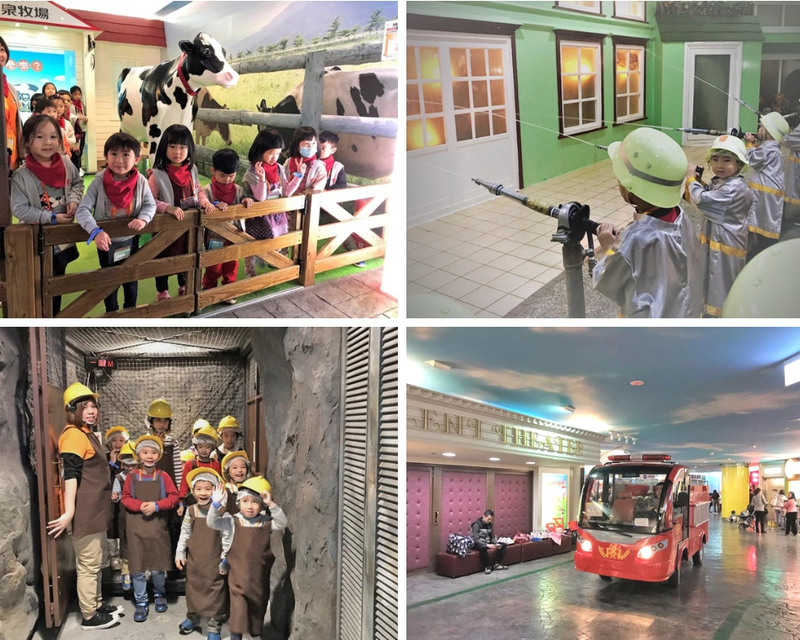 You may as well call it an indoor theme park for kids! 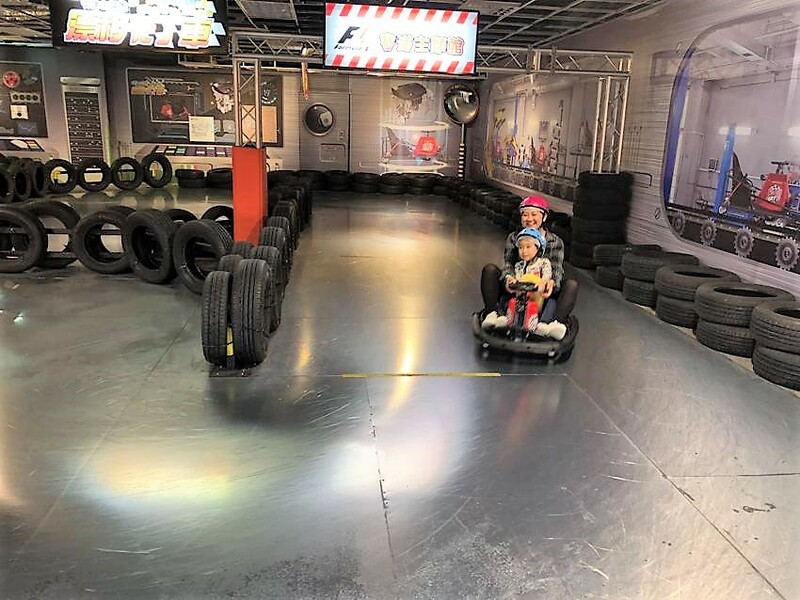 With the remaining time we had left, Ethan did try “Drift Karts” (漂移卡丁車). Unfortunately, the weight limits of these did not allow me to sit with Ethan (which was a bummer).. It was raining most of the day during new year’s eve (actually the entire time we were in Taipei), which didn’t encourage us to leave our hotel at all. 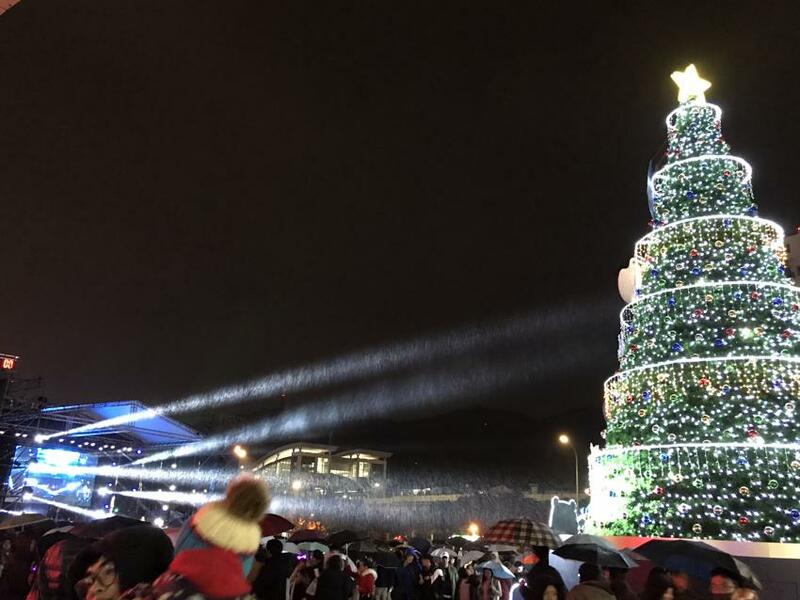 As we stayed near a major shopping mall, we found out that they also hosted a concert along with a smaller version of the countdown fireworks as well. So, instead of heading into the city center, we made an attempt to walk to the mall. It was about 9pm, and the shopping centre was bustling with people. We weren’t after anything heavy, but I couldn’t help it when I saw this dish that included a full squid, meats, vegetables and rice.. basically enough to feed all of us. Once dinner was over, we tried to catch a bit of the concert, which wasn’t that bad. The only problem was that we didn’t know who the singers were. 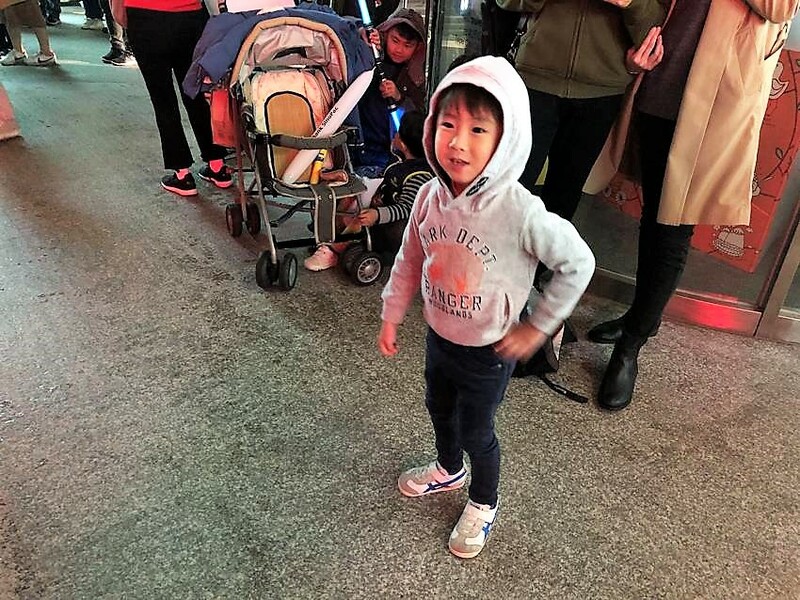 We missed out on their iconic super star “Ah Mei” performing in the city centre. Having said that, even with the smaller scale concert, Ethan got into the groove a little.. But with the rain (I would probably say it was more like an annoying drizzle), we didn’t stay until the midnight to catch the fireworks close up either. Instead we made our way back to our hotel, where we were able to see it, from the corridor window outside of our hotel room! All that for about 15 minutes of glory, and it was all over. No after-party for us.. we just switched off the light and went to bed! 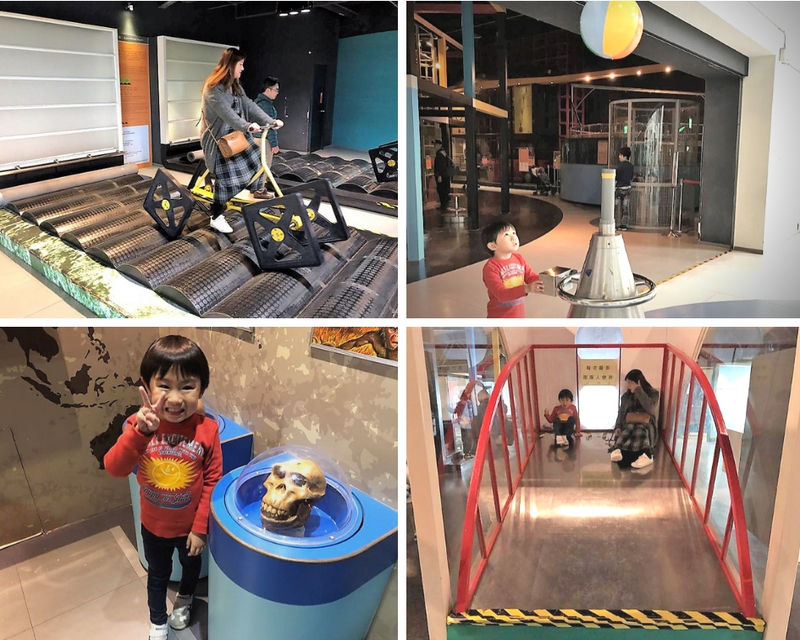 We spent the next couple of days just chilling out at various places we didn’t get to cover last time we came to Taipei, namely..
On the 1st day of 2019 we made the trip to the National Taiwan Science Education Center. This was definitely more for Ethan, though it ended being a fun day for all of us. I did recall being annoyed with the way they issued tickets, in that each different exhibition is a separate purchase, with one even through a different counter altogether at another end of the building! 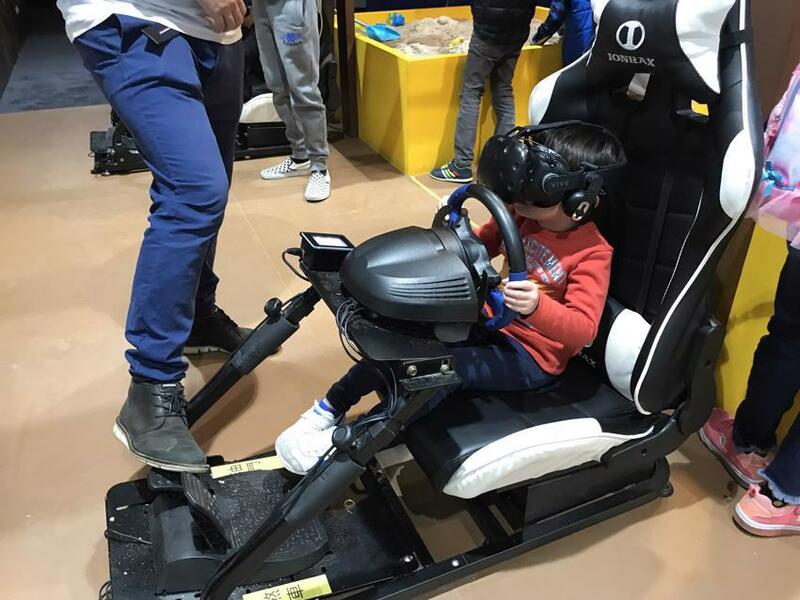 We first went to a VR (Virtual Reality) exhibition, which looked really good on paper, but ended up being a disappointment. Luckily the main exhibition wasn’t too bad, and was probably where we spent the most amount of time. 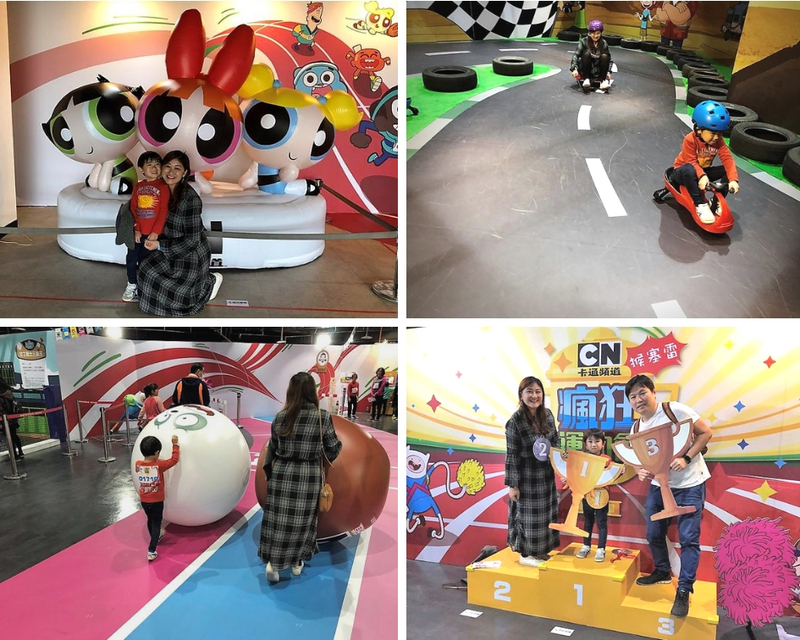 The surprise of the day came when we found out that Cartoon Network had a special exhibition that allowed kids to compete in all kids of sports event (in an indoor setting). It was another trip (for daddy) to the counter, and a credit card swipe later, we were in for more fun.. We probably spent a good hour and a bit just in there. 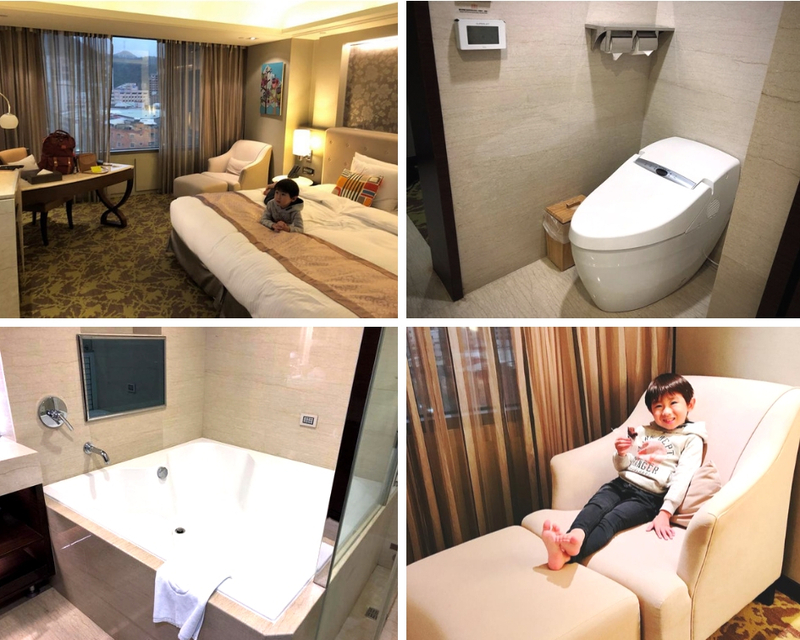 The hotel we stayed in for the last 2 nights in Taipei was an attraction of its own. It isn’t a fancy hotel at all with very basic breakfast and not so fancy reception (there isn’t one). But that’s not what people come here for. People come for all the different themed rooms on offer of which there were plenty to choose from! And I can assure you, this hotel isn’t just for families at all. Plenty of couples come here and do their ‘bit’ here, I am sure. 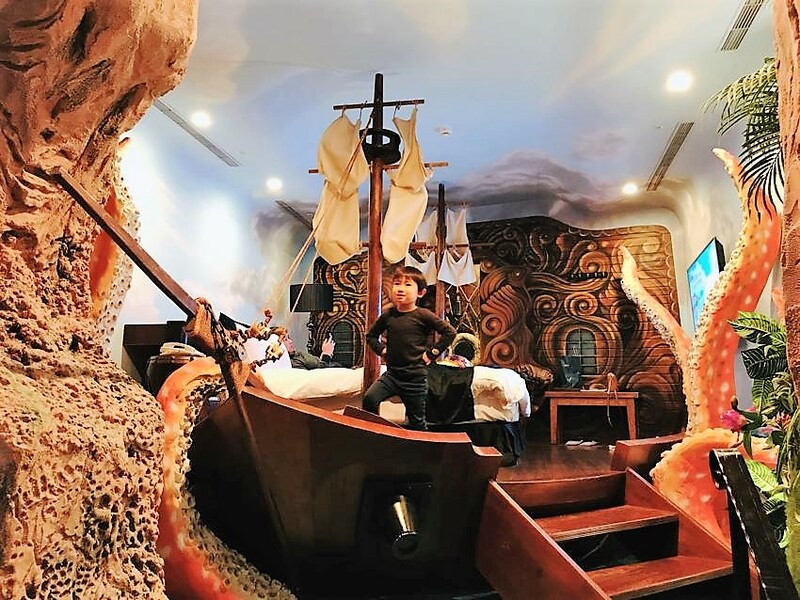 Anyway… I settled with what I think Ethan would like (and based on what’s available).. the Pirate Room! 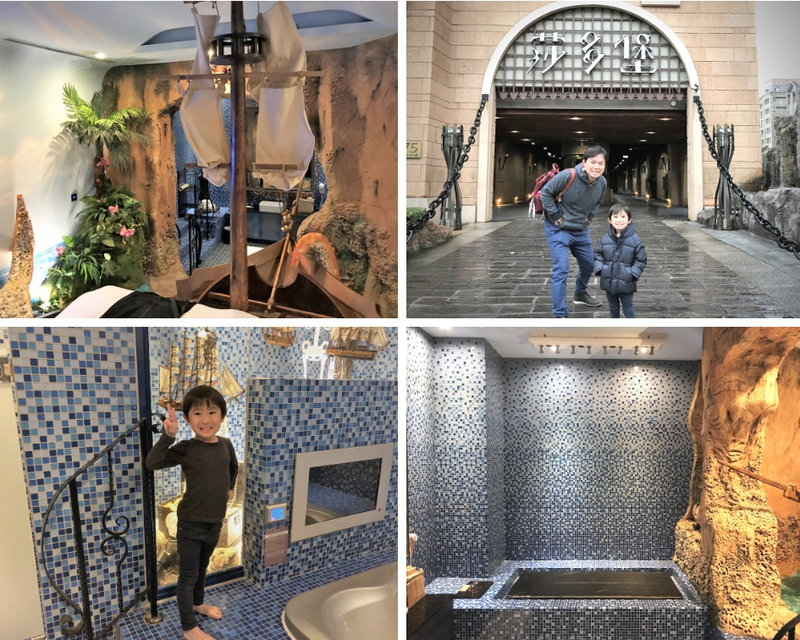 Whilst we didn’t spend ALL day in the themed room, we did spend quite a bit of time, just pretending to be pirates whether before going to bed, in the spa bath, or going to the toilet! It’s probably worth noting that Sato Castle is also a drive-in motel. If we had a car, we could have driven straight in to the hotel and park right next to our room! Maybe next time, if we ever rent a car! We really didn’t spend all that much time outdoors this trip to Taipei given it rained just about every day. However, we did get a little bit of outdoor time on the last full day there, when the weather showed signs of improvement (to the point we didn’t need to use an umbrella everywhere) with the temperature warming up. 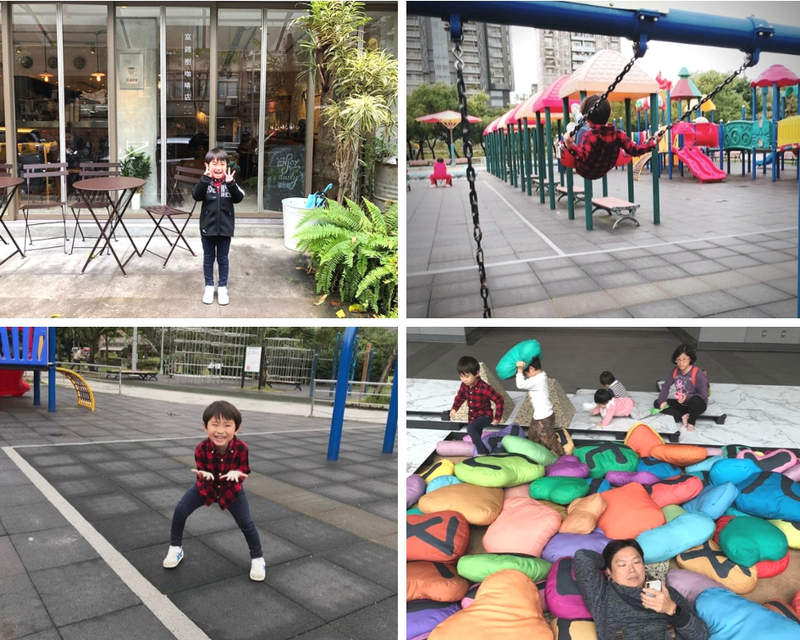 We hung out at Fujin Street (checked out a few ‘trendy’ shops and sat down at Fujin Tree Cafe for lunch) and Daan Forest Park (大安森林公園) for a bit of playground time for Ethan. Both were accessible by monorail. 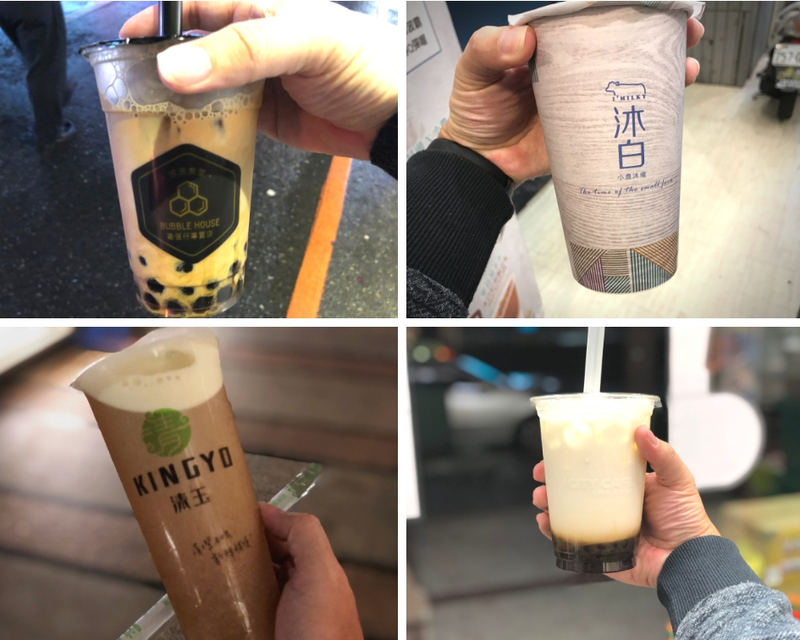 Taipei definitely isn’t short on food choices, and you can spend as little as you want or as much as you want (depending on your wallet size). You really can’t write about Taipei (or Taiwan in general) without talking about food. There were quite a few worth calling out. First one being, Mitsui Cuisine (明水三井) located here. What made it even better was that we found it on the evening (with Google Maps) just before we head out for dinner (we had no idea what we wanted for dinner). It was just a couple of minutes walk from our hotel too! It wasn’t super cheap (Around 2500 TWD, or ~SGD$120 per person) and I admit I didn’t quite know it was that much before we went in. 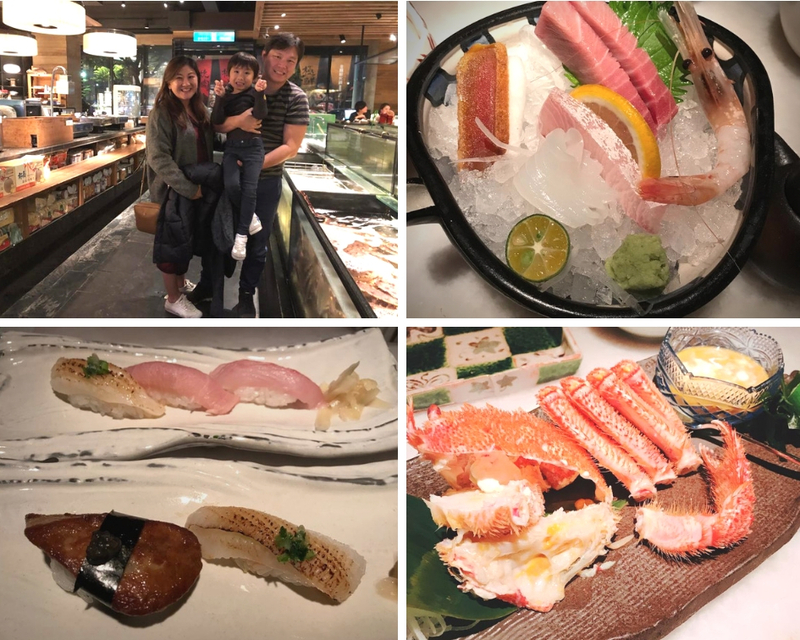 But it wasn’t super expensive either as I’m pretty sure an omakase (basically whatever the chef feels like serving you) course like the one we had would be well over $200 for the same quality. I am not a huge fan of seafood in general, but these guys managed to rid all the “fishiness” out of the seafood they serve (or they were just so damn fresh) that I was sold/hooked. It will be pretty hard to go back to regular sashimi back at home after this. 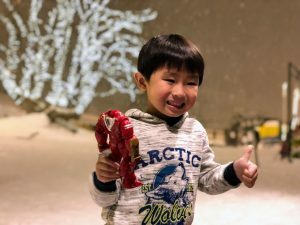 Ethan loved Mitsui Cuisine food too, but he likes Japanese food in general. 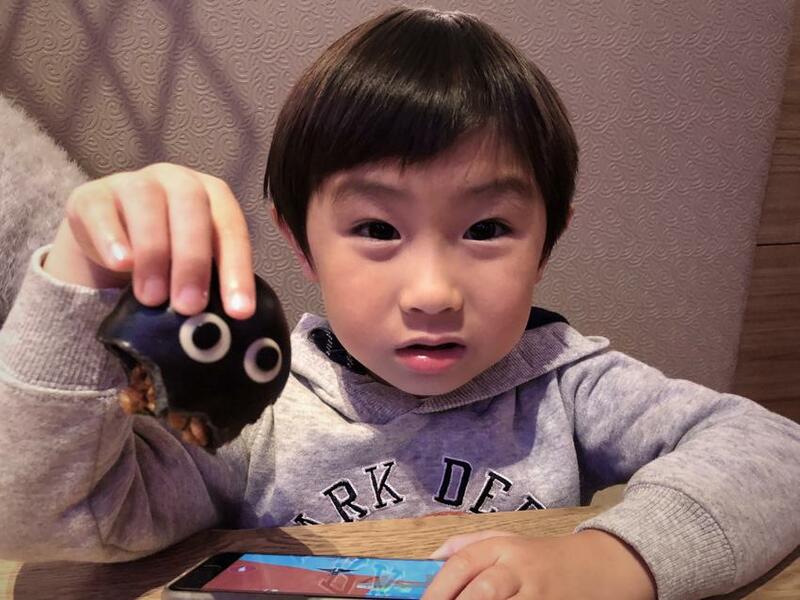 I do have to admit he didn’t eat as much the entire trip (and according to his mum, he lost weight this trip), but he did discover interesting food too, such as this peanut butter bun. Another one worth mentioning is Woosa Pancake. 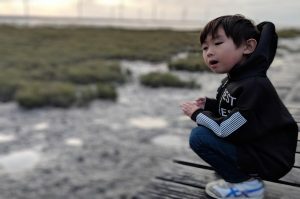 We first discovered it (located here) in Kaohsiung last year. Like the one over there, they told us there’s a 2-hour wait (yeap.. 2 long hours), but in reality, we probably waited for about 1 hour before we could get in and sit down. 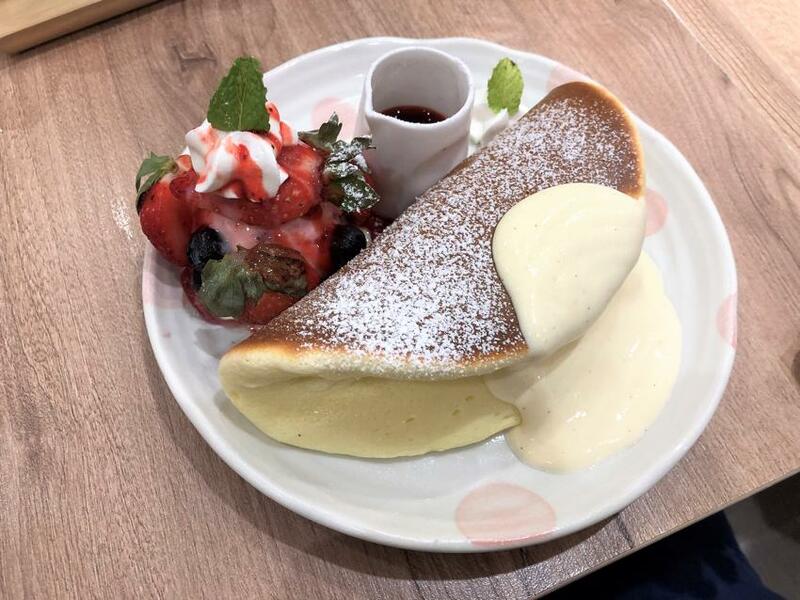 They are famous for the super soft souffle like pancake that we haven’t seen anywhere else. It’s good pancake for sure, but the only mistake we made this time was ordering their ‘season special’ (chocolate pancake). Like a lot of shops, if you stick to what they are famous for, it’s all good. Fortunately, we did order their “regular” pancake.. and it was still as good as ever..
And of course, we had a ton of bubble tea up to this point. 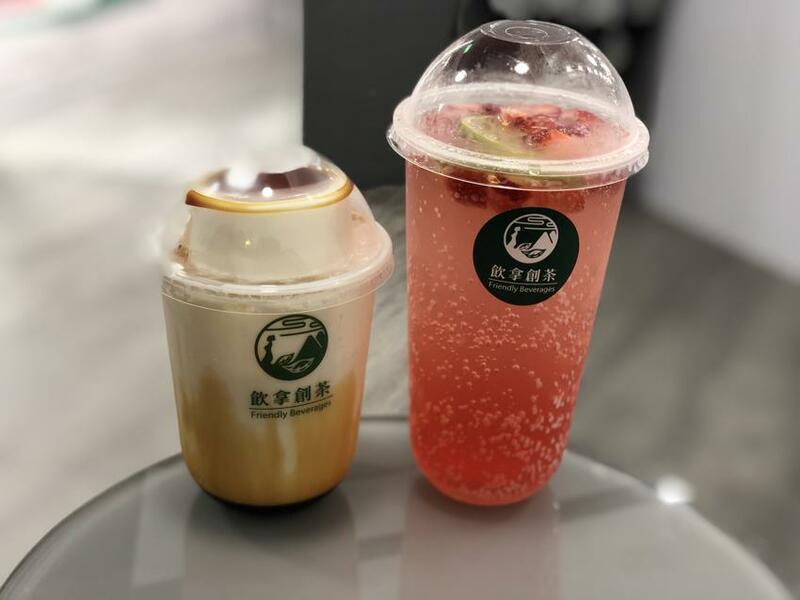 Even 7-11 had bubble tea available, and tasted better than any we had back in Singapore/Australia. The fanciest one we had in Taipei was arguably at a shop called “M.C.D INA” (Friendly Beverages), that came with a sparkler! We didn’t light it up (partly because I don’t carry a lighter, and didn’t want to draw too much attention to ourselves). Again.. it was discovered by accident while we were just walking around nearby. The drink itself was as awesome as the sparker that came with it! One of the highlight (for me anyway) had to be the all-you-can-eat sukiyaki restaurant, called ChaoRou Sukiyaki (潮肉壽喜燒) located here. Not because their meats were of the highest quality. 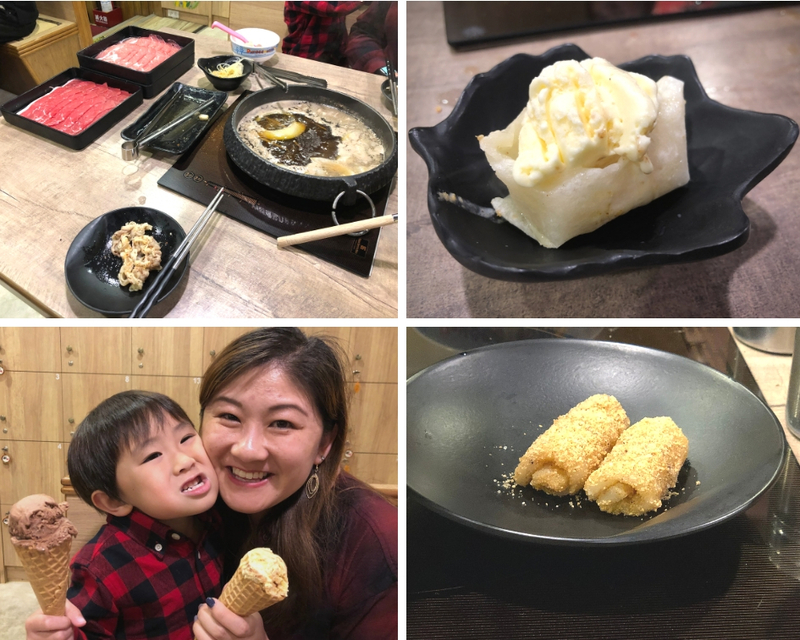 I just can’t recall a sukiyaki restaurant who gave us the choice to either cook our own beef, or have the waiters come and cook up different variations for you, including dessert! 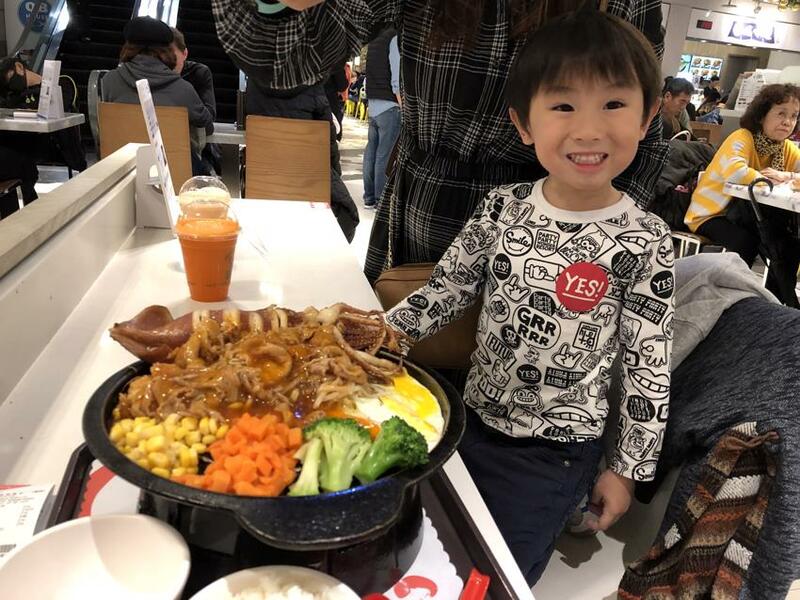 We definitely took up the offer to let the waiters cook the meats dipped in various sauces, and suddenly sukiyaki is not so boring! Not to mention the desserts they made for us at the end were very very nice as well. I just can’t remember what they were called. Highly recommended! So that’s another 5 days of our holiday gone in a jiffy. Our next stop.. Taichung.. arguably the part I most look forward to!